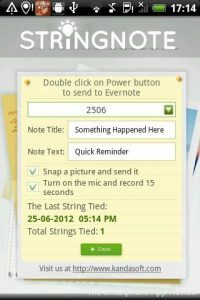 Stringnote for Android solves a problem that many of us have when using our phone to take notes. The problem is essentially laziness. Many of us can’t be bothered to wake the phone from sleep, unlock it then navigate to the note taking app, boot it up and then write a note. It is hardly a long and drawn out process, but it can sometimes be just enough to make you decide to remember whatever is was instead of jotting it down. 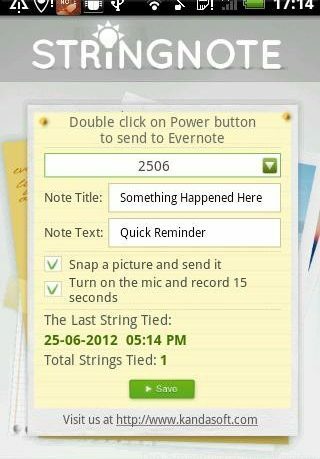 Stringnote solves this by using a brilliant little trick. You simply double tap the power/sleep button on your Android phone and the app automatically boots up and allows you to instantly either record 15 seconds of your voice or take a picture, either of which are sent straight to your Evernote account, which is integrated right into the app. It is seriously useful, and a real help, especially if your hands are not free, or you only have a few seconds to spare. 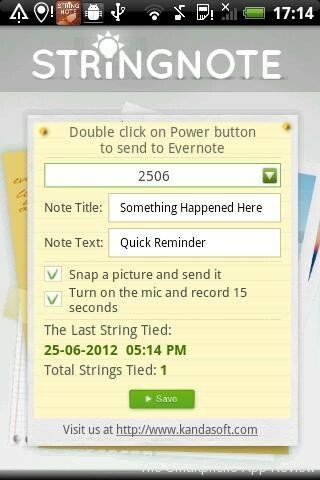 When you’re too busy to write it down, Stringnote Instant Reminder for Evernote records an Evernote reminder for later. 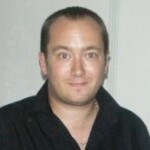 The note contains your current location and customizable title and description as reminders for later elucidation. It is an extremely handy tool, and is perhaps only really possible on the Android platform, so if you want an app that really uses your Android device then Stringnote is one to get.